This week, Hendrick Honda of Woodbridge will be hosting a food drive as part of their Team Honda Week of Service. For the second year, Honda dealers and partners across North America are collectively performing acts of service during the week of June 8-19. This year, 206 dealers, 92 suppliers, and 20 Honda companies will perform acts of service, ranging from food and blood drives to beach clean-ups and pet adoptions, to benefit the food pantry at ACTS. You can get involved too. Bring any non-perishable food items to Hendrick Honda, and drop them in the shopping carts located inside both the new car showroom and the service center lounge. Kristin Alsup of Hendrick Honda commented, "More than one organization exists in Prince William County to help the community. Once the decision is made to do a service project, where to aim the service is not an easy decision to make." One of their employees, Diane Reynolds, expounded on why ACTS was chosen. “The work ACTS does is incredibly prevalent in the Prince William County area. All of the many things they do help so many families in the area are incredible. We as a company have donated money in the past to ACTS, and when we had the opportunity to choose an organization to work with for the Team Honda Week of Service they were who we chose. There is a wide variety of ways to get involved with ACTS. While it isn’t easy to donate rooms for victims of domestic violence or homelessness, it is pretty easy for those who can afford it to pick up two bags of brown rice instead of one. The food drive made the most sense to us. We are excited about it and we hope you will be too." While ACTS may be able to accommodate donations of all kinds directly to our food pantry, Hendrick's drive is more than a week long and is asking for all non-perishable food items. While shopping for the food drive, think about how you can drop off items that pack a heavy nutritional punch with each serving. Whole grain pasta and powdered milk make great choices. Canned or dried beans and canned vegetables and meat can fill out a meal. Items low in sodium give those who are on a limited sodium diet better options. Check out their infographic below for more ideas on what to donate to our food drive. Saturday: 9 a.m. -8 p.m. They can also take donations Monday –Friday, 6 -7 p.m., and Saturday, 6 a.m.-6 p.m. in the Service Center Lounge. 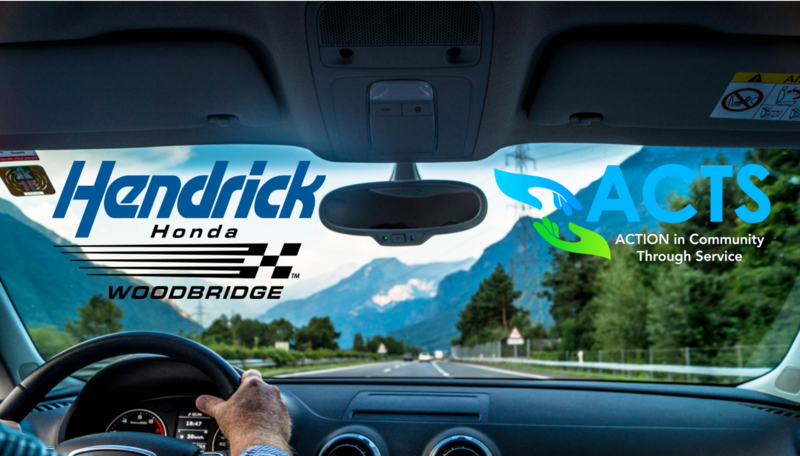 Hendrick Honda would like you to know that they couldn’t be more excited to provide food for our community by donating to ACTS, and we are so grateful for our partnership with them. Providing food to our neighbors is one of the most important programs we offer at ACTS.ACTS has been able to provide hundreds of families with over 240,000 pounds of food. We couldn’t have done this without the partnerships that have believed in our mission for years, nor without the help of our volunteers at the pantry that donate their time and talents in making sure that their neighbors are fed.